Celebrating its 50th anniversary this year, Boot Düsseldorf (January 19 to 27, 2019) in Düsseldorf, Germany, has grown into the world’s largest indoor winter boat show, with almost 2000 exhibitors spread across 18 exhibit halls. This year’s show drew a record crowd of 250,000 over the nine-day event. A one-stop shop for all water lovers—from kayakers and scuba divers to sailing-yacht and custom-superyacht owners—Boot Düsseldorf has also become a favorite launch location for many yacht builders. Here are 10 of this year’s most noteworthy debuts. The X Generation, as Pershing calls its new X cruiser series, announced its newest member at the Düsseldorf show. The Pershing 8X distinguishes itself not only for its all-carbon-fibre superstructure and the svelte profile that lives up to the Italian brand’s performance heritage, but because it also delivers exceptional interior comfort. The 25.3-metre boat’s generous beam allowed longtime designer Fulvio De Simoni to create an open-plan main saloon, with a seamless, open connection to the cockpit. The yacht will come in three- and four-stateroom layouts, with two crew cabins. One very cool design feature is the curved stairway to the flybridge that is built into Pershing’s signature “wing” along the side. The yacht is available with two choices of MTU power. The upgraded twin MTU M96L gives it a top speed of 48 knots. 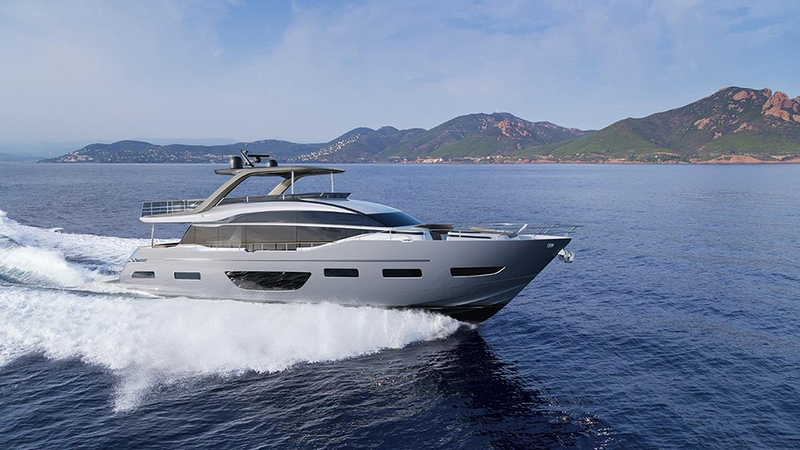 After announcing its plans to acquire Wally, the Ferretti Group has now revealed more details about the first collaboration between the two brands. 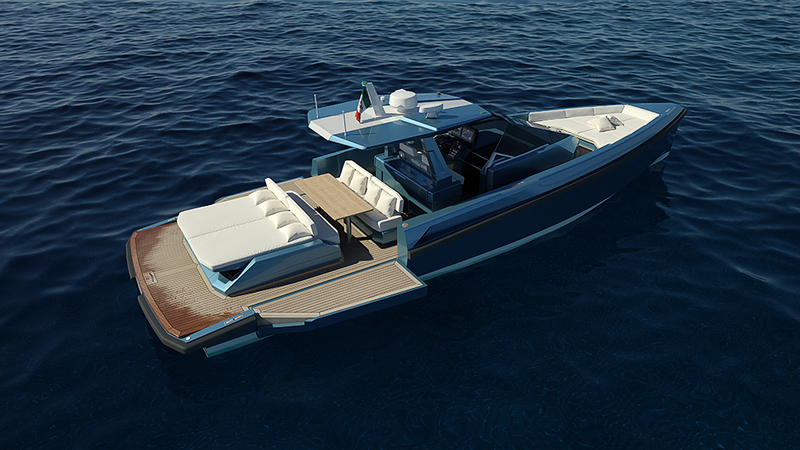 The new 48 Wallytender, which will make its debut at the Cannes Yachting Festival in September, will have Wally’s signature hull and performance but a lot of new features besides. The Wallytender, which works as a day boat or weekend cruiser, will now have a larger cabin with a bigger bed and shower area. Outside, in the cockpit, the designers have added more seating and sun beds, along with an exterior galley that includes a stove, sink, and two refrigerators. The aft seats can be configured to face forward or at anchor to face rearward for dining. The foredeck and aft deck have special shading systems for sun protection that Wally developed for its Wally 118 in 2003. The 48 Wallytender will also have fold-down bulwarks at the stern end of the boat, so it becomes much wider near the swim platform. 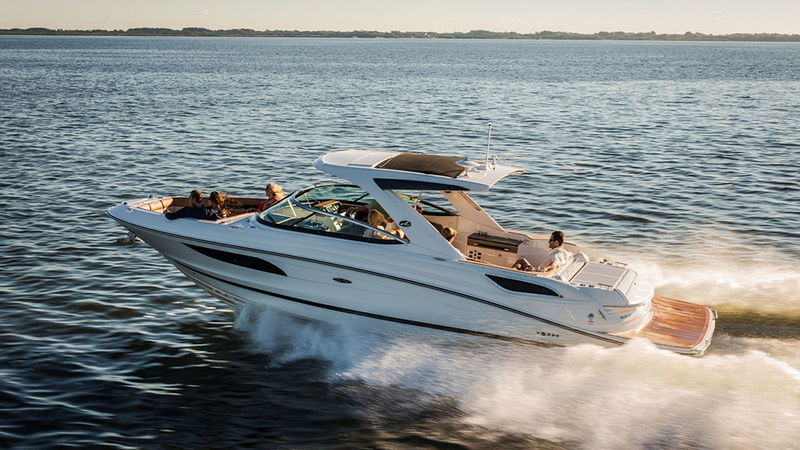 Two Volvo IPS 650 engines with joystick controls will give the boat a top end of 38 knots. With a stern inspired by a Porsche 356 Speedster, the Seven Seas Hermès Speedster promises to attract a new group of admirers at the Düsseldorf show. Its Amfihull has a sharp deadrise and shallow draft, allowing the boat to virtually glide at low speeds. What’s even more interesting is that the boat has a 115kW MPE 850 Marine TC engine derived from a Textron jet engine, giving it a friendly cruise of 22km/h that consumes only 5.3 litres per hour. The Speedster also has the option of full electric power with a bank of batteries. The Austrian builder Frauscher makes some of the most handsome modern-retro day boats on the water, and in Düsseldorf, the brand will be launching its largest model yet. Replacing the 1017 Lido, the 1017 GT Air was designed to maximise interior space by using a central steering position that leaves the starboard forward section free for seating. The builder always includes features like teak tables and flooring (sourced from sustainable teak forests), cleverly designed storage areas, and top-end marine electronics. The forepeak has an electric windlass. 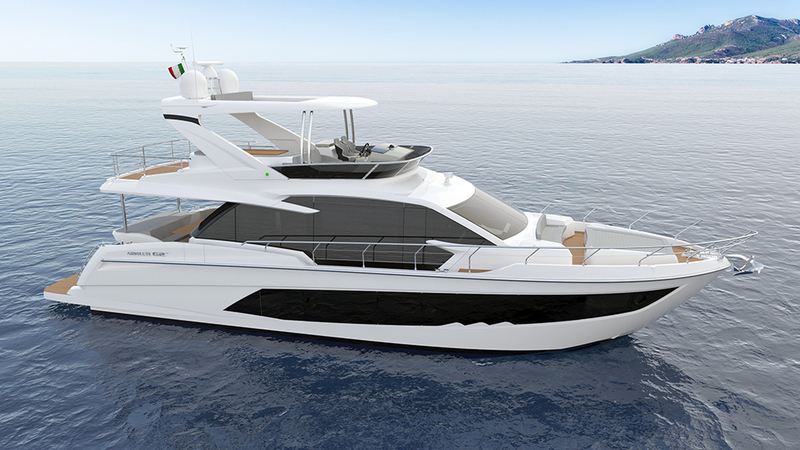 The 1017 GT Air will be powered by either twin 224kW or 320kW gas or diesel engines. Designed by esteemed naval architect Germán Frers, Nautor’s Swan’s new 65 is one of the prized new sailboat launches at Boot Düsseldorf. The naval architect gave the latest Swan an ocean-racing hull, a low deck, and a bow profile that lets the helmsman at the stern navigate with a clear view. The forward area, just aft of the cabin, is for the owner and guests to congregate for enjoyable sunsets. 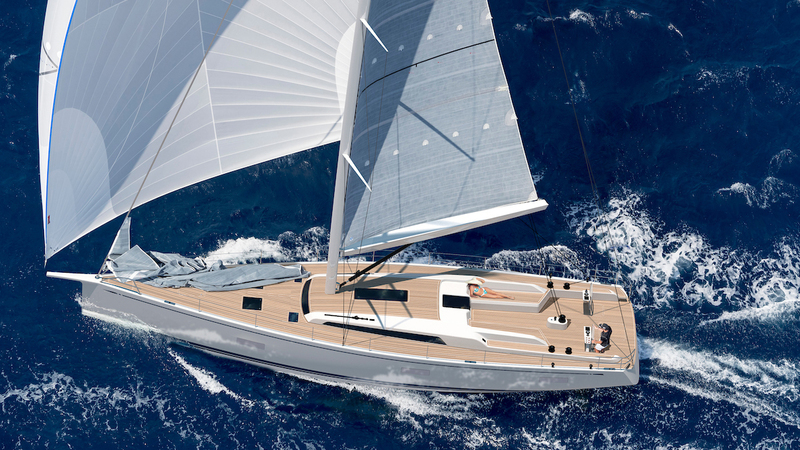 The keel comes in three versions, including a telescopic keel that does not impact interior space when retracted. The saloon is open-plan with high ceilings, giving a sense of open space. 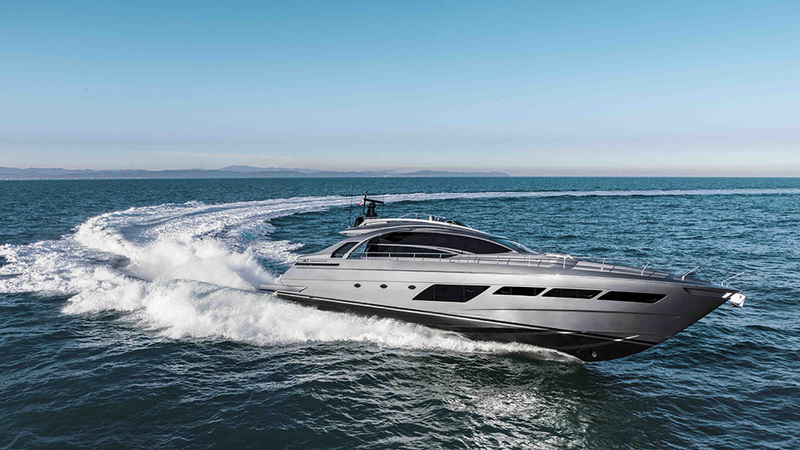 Sunseeker made several big announcements at the Düsseldorf show. 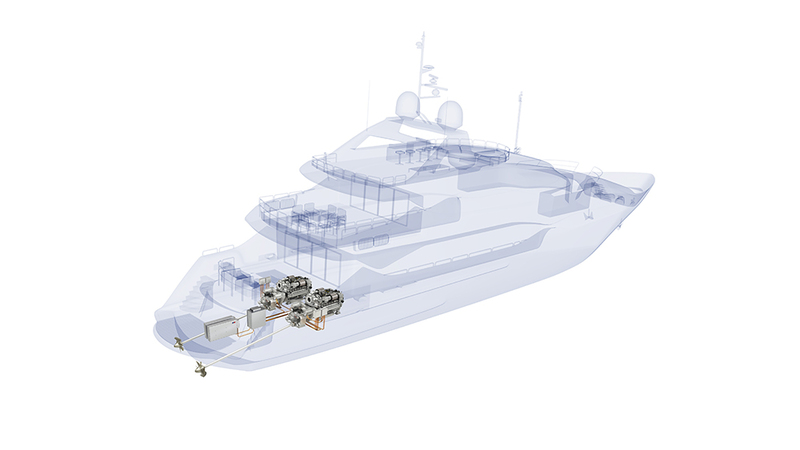 One of the biggest was the British builder’s plans to build the first production yacht with MTU hybrid power, with its longtime partner Rolls-Royce Power Systems. The partners have a display of the hybrid system at the boat show. Although many custom superyachts have put together hybrid diesel-electric propulsion systems, these are mainly jury-rigged with components from different suppliers. The yacht’s size hasn’t been revealed yet, but Sunseeker said it will have six operating modes. In “electric” mode, the propulsion and onboard power can be supplied continuously by the generators, with optimal fuel consumption. Using only battery power in “silent” mode, the yacht will have up to 40 minutes of propulsion and 120 minutes of onboard power. The new yacht will be available in 2020. Launching its 62 Fly in Düsseldorf, Absolute focused on maximising comfortable cruising by designing in an open-plan main deck that extends from the aft cockpit to the forward helm. The social opportunities for this open, naturally lighted space are obvious, but the area will also make a nice sanctuary on long-distance cruises. Belowdecks, the 62 has three large staterooms, each with an en-suite bathroom and shower. The large master suite is located amidships, where the beam is broadest. The yacht also has a fourth double cabin for the crew in the aft section of the boat. The UK builder Princess has been on a successful design spree over the last few years, and its Princess Y85 flybridge is just the latest example. The26-metre boat has a fairly straight hull, with multiple windows built into the hull sides. The superstructure is where the design gets interesting, employing different curves to distinguish itself, from the flowing glass of the main saloon all the way up to the back edges of the flybridge hardtop. The fly has a large shaded area, but there is also plenty of room aft for sun-worshipping on the lounges and open rear area. The top deck also has an integrated bar on the starboard side, which is a rare feature for a boat this size. Princess gave the main floor an open-plan layout, with three seating areas. Belowdecks are four staterooms, including a full-beam suite for the owners. There is also a VIP cabin at the bow, another rarity on a yacht this size. 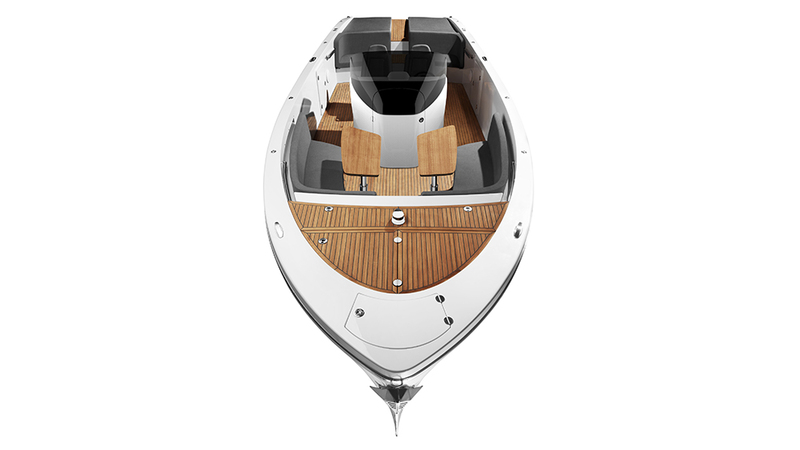 The Y85 is powered by twin 1420kW MAN V12 engines, which reach a top end of 33 knots. 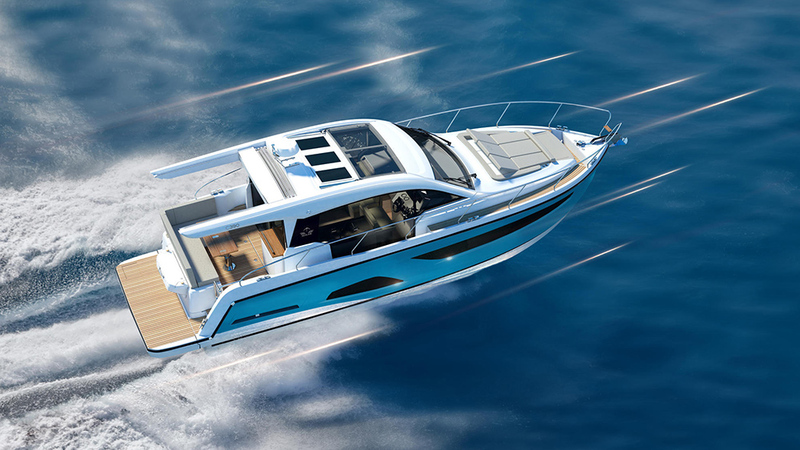 Sealine’s new S390 shows just how far the former UK brand, acquired several years ago by the Hanse Group in Germany, has come. 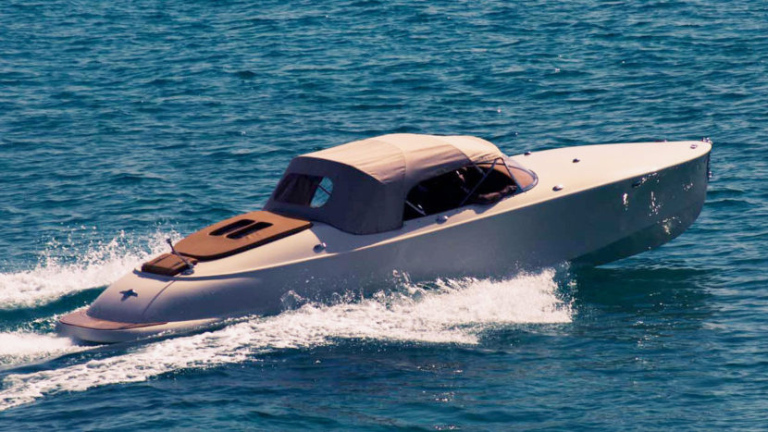 Bill Dixon, designer of many successful sailing yachts and motor yachts, gave the S390 a signature swooping hardtop that features a large opening sunroof, full-height windows, and a large opening door. The 12-metre boat is designed for both wet weather and sunny climates, with an outdoor galley and barbecue, a hydraulic swim platform, and a cockpit table. The weekend cruiser has three double cabins with two bathrooms, with long windows designed into the hull sides. The S390 has two engine options, both twin Volvo Penta D-series sterndrives. With the upgraded 276kW version, the boat has a top end of 34 knots. The royals' elegant Riva Tritone runabout is one of the stars of next month's RM Sotheby's Villa Erba sale.